When the hdd was received and it was clicking, by listening to the clicking hard drives, the engineer can tell it’s one head damaged hdd. For users without enough experience, users can use our force loading technology to judge whether it’s firmware clicking or head-related clicking. Users can always compare the good drives’ working sounds and patient drives’ working sounds, when you listen to them more, it’s easy to tell them from each other. The engineer found one donor head from one good hdd of the same family (same PCB number and same head number are recommended.) After installing the new heads, the patient hdd stopped clicking but the model was not detected. Luckily the engineer was able to read the tracks by filling in a correct SPT value manually. The engineer extracted the modules from the tracks and the good news was that the key data recovery modules are good. Next the engineer tried twice to write different donor firmware modules to the patient hdd (format sa-write 01-power off/on-write all other modules) and was trying to make it recognized but failed (it got sometimes recognized but after power off and on, it was not detected again), and the data area could not be accessed. The reason was the write failure of module 31. The engineer explained this was usually caused by the bad sectors in the SA and then the engineer shift the module 31 to one vacant track and wrote again the modules and the module 31 was written successfully. At this time, the hard drive model was recognized but the data area couldn’t be accessed either. The engineer wrote the key data recovery modules again to the patient hdd with new donor firmware modules, power off and on and found some bad sectors were accessed and some were not. The engineer felt happy because he could the firmware modules were written successfully and began to affect the patient hdd positively. The engineer explained partial sector access was usually caused by the platter or head-related elements. Next the engineer tried selective head image and the image could be set up and run but very slow. At this time, the engineer decided to adjust the head adaptive parameters-the MRjog value. 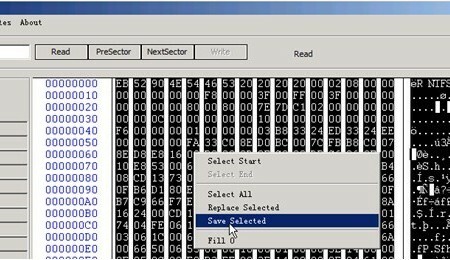 The engineer found the values from the donor hdd module 47 and wrote it to the patient hdd and save. 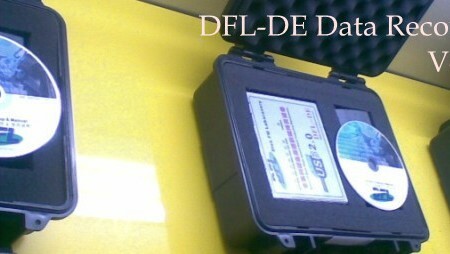 Power off and on the patient hdd, amazingly, the four partitions could be listed directly within either DFL-DE data recovery tool or DFL-DDP USB3.0 data recovery equipment. Finally all data is recovered.